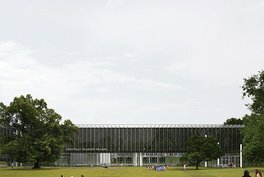 The opening of the Bauhaus Museum Dessau on 8 September 2019 is one of the highlights of the centenary. For the very first time the Bauhaus Dessau Foundation’s unique collection will be displayed in a comprehensive way and at the same time the museum will be established as location for contemporary positions that also connects the Bauhaus Buildings. In 2015 the up-and coming addenda architects (González Hinz Zabala) of Barcelona was chosen from 831 entries to an open international architecture competition. 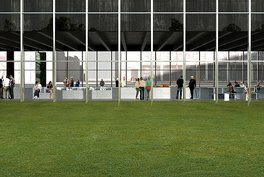 The architects’ concept envisages a transparent structure with a Black Box for the presentation of the collection seemingly suspended inside it on the top floor and an Open Stage as platform for contemporary statements and temporary exhibitions on the ground floor. Whether typefaces, furniture, textiles, wallpapers or buildings, the modern culture of everyday life that we take for granted today was forged in Dessau during the 1920s. 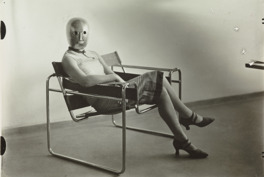 After the First World War the Bauhauslers sought methods of shaping and designing the new, modern way of living. The Dessau collection is distinctive: its exhibits and objects tell the story of teaching and learning, free design and the development of industrial prototypes, artistic experiment and engagement with the marketplace at the to-date unparalleled school of design. The museum is under construction in the centre of Dessau. 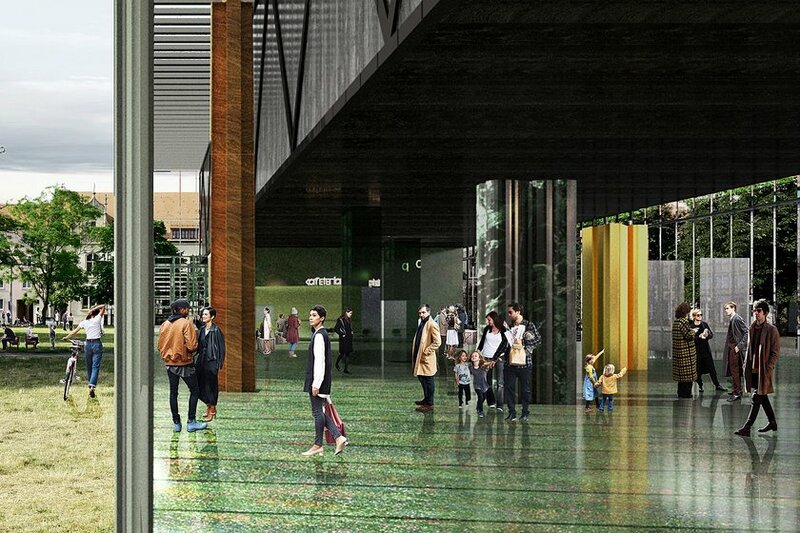 The transparent architecture of the ground floor invites visitors, passers-by and citizens into the building. Here the Open Stage offers contemporary artistic positions and events. Rita McBride's Arena is the first contemporary setting. The Arena is a sculpture and meeting-place at the same time. As an associative interpretation of the Totaltheater by Walter Gropius the Arena connects directly to the social understanding of the historic Bauhaus as a collective community. For one year, it will be a scenic platform for a wide-ranging programme by artists, architects, designer and scientists. 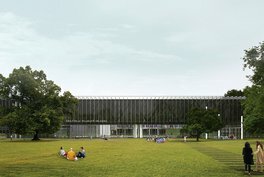 The Bauhaus Museum Dessau is being built for the centenary of the founding of the Bauhaus and will open in 2019, the centenary year.